Share the post "Items Every Small Apartment Needs"
If your living space is small and cramped, then you need to see our tips. We have some ideal storage solutions for your tiny apartment. No need to visit an expensive home goods store; with a reasonable shopping list, you can get all you need to open up the area and breathe freely. So what are you waiting for? Your dream apartment awaits! A college student’s dream, bed risers work overtime to save you space. 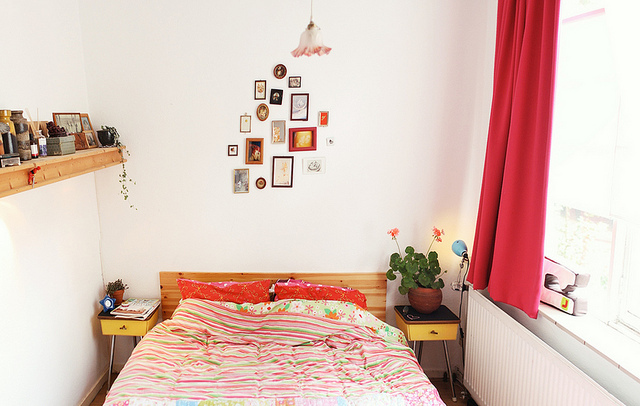 Just prop your bed up on 4 risers (you can also use bricks if you are in a pinch) and then you can store all sorts of things underneath your bed. While you slumber, your shoes, personal belongings, and more will be safe and sound. Try keeping things in shoeboxes or storage containers and simply sliding them under the bed. Just don’t forget about them! You can hide the bed risers with a stylish comforter or sham. We absolutely adore hanging organizers because they are multi-functional, easy-to-use, and super versatile. Some hanging organizers can be dangled from the ceiling, others can be clipped over the top of a door, and others can be hung conveniently in a closet. This storage solution is great for just about any room: the bedroom, bathroom, living room, kitchen…you name it! Plus, there are different types of hanging cubby holes for shoes, clothing, and much more. Even if you live in a very urban area, you can still find the space for a planter box or two. Having a box to plant herbs or vegetables connects you to nature, keeps things fresh and alive in your apartment, and gives you a sense of well-being and freedom. Having plant life in your apartment may even make it feel larger. Another added benefit: you can feed yourself with your home-grown tomatoes, thyme, basil, cucumbers, and more! Think up! 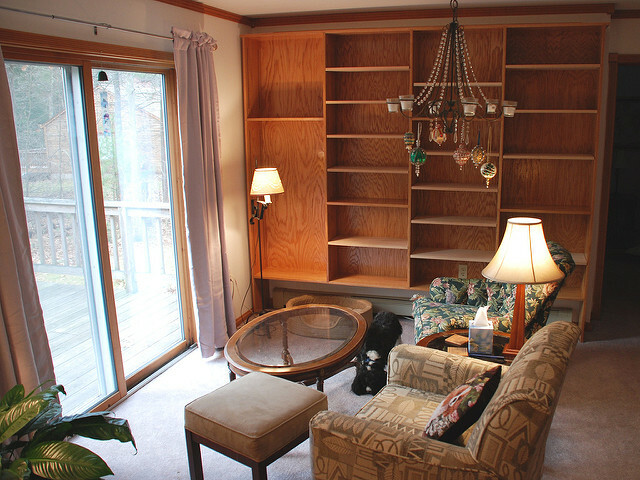 Opting for floor-to-ceiling shelving units will greatly reduce the amount of floor space you take up. This will help to open up the room and make things look less crowded and messy. If you want, go for a shelf that is a funky color and use it as an accent piece as well. There are so many styles of shelving out there that you can experiment with a material, shape, and texture that appeals to you and your apartment. No tiny living space would be complete without some folding furniture. Some examples include a Murphy bed, folding tables and chairs, or a trundle bed that can sleep two in one. New home products are being created all the time, so expand your options and rethink folding furniture. We have come a long way from flimsy card tables!